﻿ Upper Room Hotel Berlin. JIMAT di Agoda.com! Ada soalan mengenai Upper Room Hotel? 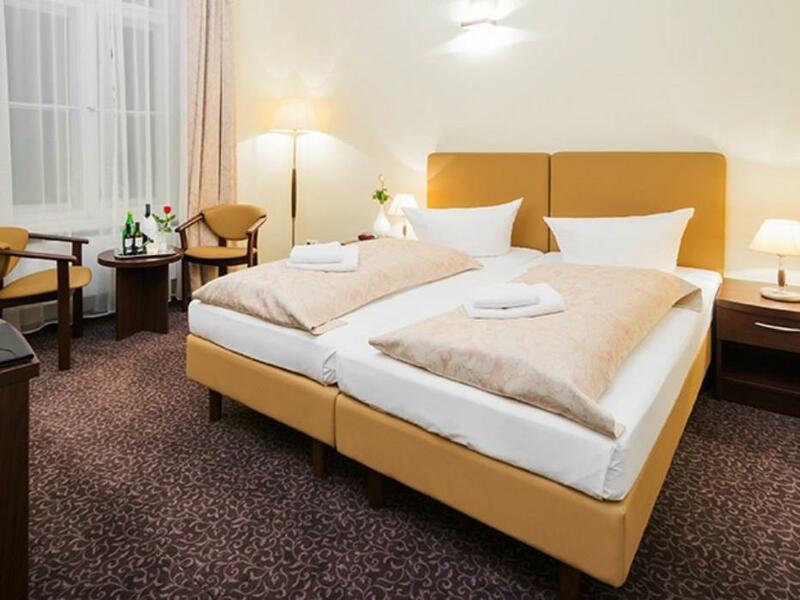 Upper Room Hotel, terletak di Charlottenburg, Berlin, merupakan satu pilihan popular bagi para pelawat. Terletak hanya 0.1 Km dari pusat bandar, para tetamu berada di lokasi sesuai untuk menikmati tarikan dan aktiviti di sekitar bandar. Dengan tarikan utama di bandar ini seperti ART Accessoires, Gereja Gedachtniskirche, Kurfurstendamm (Kurfurstendam) berada pada jarak yang dekat, pengunjung hotel pasti akan menyukai lokasinya. Kemudahan dan perkhidmatan yang disediakan oleh Upper Room Hotel memastikan penginapan yang menyenangkan bagi para tetamu. Ketika menginap di hartanah yang indah ini, para tetamu boleh menikmati khidmat bilik 24 jam, Wi-Fi percuma semua bilik, pengawal keselamatan 24 jam, meja depan 24 jam, daftar masuk/daftar keluar ekspres. Semua bilik tetamu menawarkan pelbagai jenis tahap keselesaan. Banyak bilik turut menyediakan televisyen skrin rata, internet wayarles, internet wayarles (percuma), bilik larangan merokok, penyaman udara untuk memuaskan hati tetamu. Di samping itu, pihak hotel menawarkan aktiviti rekreasi untuk memastikan anda mempunyai perkara untuk dilakukan sepanjang penginapan anda. Apapun alasan anda untuk melawat Berlin, Upper Room Hotel adalah tempat yang sempurna untuk percutian yang menyeronokkan dan menarik. 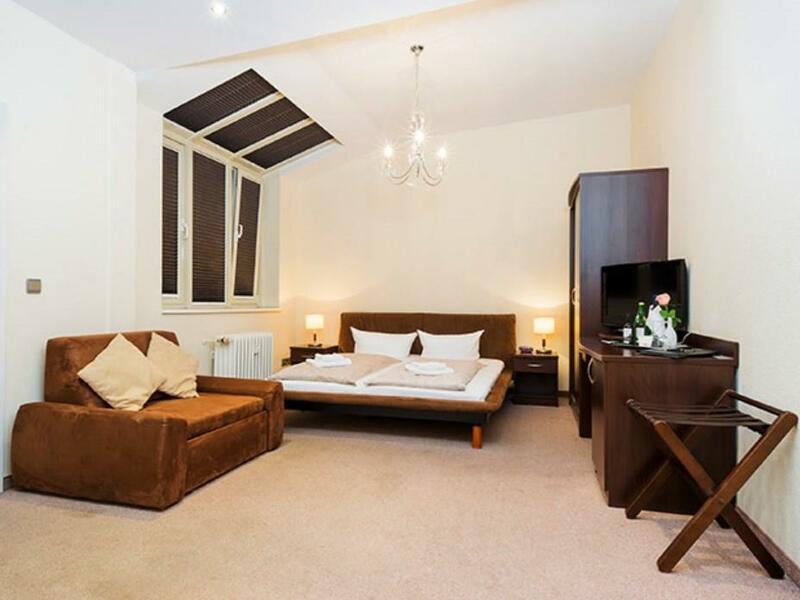 The room is clean, space is good enough for 2 if you book double room. However, th le check in staff that I met spoke almost no English, I have to run up and down then old creepy stair in the middle of the night to find the reception to check in. The location in the city center is great for exploring Berlin. The room was very spacious. I arrived a bit earlier, but the friendly staff managed to give me the room a bit earlier so that I can recover from a jetlag. Location of URH is great, no question about it! Room was big, recently renovated and comfortable. Windows to smaller street so really no extra noise. The staircase was a bit of a minus, but that was clear already when booking the room so cannot complain. Positives: Good value! Good location to underground and buses 100 and 200, and some local sites (zoo, ruins of stunning Kaiser church tower, Katte Kolwitz Gallery), lots of local restaurants.. Comfortable room, though the single is not like those published, it’s quite tiny and basic, excellent shower, very quiet (I was on the upper floor), very good German breakfast with lots of choice though big groups may make getting to the buffet challenging at times, though most times fine(after 08:30). Negatives: Reception staff can be a bit grumpy, though they usually warm up with time. Ignore Agoda’s advice that electronic proof of booking is fine, the hotel expects printed voucher (I managed to email it to them in the end). The hotel is on the 4th floor, the lifts run between floors so expect some stairs. Great location, good room, helping personal, great value for the money. Great location . Room was comfortable , warm and clean . The staff were not so friendly. The only things positive about the hotel were the location and the cleaning. The staff at the reception could have been more friendly. I don't think I have ever seen a room that small and a more complicated way to get to the room and an interior staircase so dangerous. The main entrance doesn't look inviting, and the reception was in the 4th floor. No lift from main entrance to reception. Lift from first floor to 3rd floor - very small lift. The reception area does not look very nice. The Internet is not too stable. Breakfast ok, but a bit small eating area when all the guests came in. No aircondition. Nice bathroom and kitchen area. Big table in the apartment. The hotel is Ok. The acces to the rooms is difficult. You have to take a lot of stares to get to the room, which is not exactly comfortable when having cofers. The rooms are big and clean. The carpet looks old, but its Ok.
We took the a 4-bedder for 7 nights, but other than folding the comforter, I do not see them cleaning or changing towels for the rooms. The facade is a run-down building with century old staircases leading up to the hotel reception on the 4th floor. Location is ok and its about a 5-10min walk to the metro and bus-stop. Only stayed one night. Positives - Good location and friendly staff. Negatives - Reception is on the 4th floor. To get to the lifts you have to climb two flights of stairs. I had a heavy suitcase with me, and having to carry that up the stairs was a real inconvenience. The corridor/stairs are also not well lit and looked a bit dirty. The rooms are also quite small. Wouldn't stay there again. Place of never ending steps. Most of personel were rude. Booked double bed but we got two single beds+10% money back Breakfast OK and location perfect. Only Con is the stairs from fourth to fifth floor. Elevator is from 1st to 4th floor. I enjoyed the stay, great location.